Thank you for a good magazine. 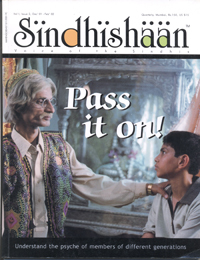 I have already sent a letter expressing my great appreciation and admiration of Sindhishaan, a magazine I could have only seen in London and New York, that too not for a regional language. Truly it’s a world-class publication. I am not only happy but feel privileged to be a member of Sindhishaan and look forward to its future issues.